Choosing a first bike is a fun and momentous occasion for children and adults alike. But while little ones will probably want to jump on the first shiny new design their magpie eyes see, it’s important to consider the practicalities too. That is, finding a design that’s comfortable and lightweight, but that will also keep your child as safe and stable as possible. Learners must be able to get both feet down easily when sitting on the saddle, for example. They should also be able to put both feet flat on the floor while straddling the top tube in front of the saddle. Pedal bikes for kids are categorised by wheel size from 12 inches and up dependent on age, with the average bike lasting around three years. When you’re trying to find the ideal fit, it’s worth noting that while wheel size tends to define the age suitability, frame sizes vary, so not every child will fit the same design. When it comes to style, there’s a host of cartoon-branded designs to choose from such as Paw Patrol and PJ Masks, as well as pink princess-style frames that sport, quite literally, every bell, whistle, basket and handlebar streamer. The best designs however, are so wonderfully crafted you’ll find yourself looking for an adult version too. With style, ergonomics and comfort in mind, we’ve pinpointed our favourite kids bikes for three to ten years olds here. Pedal-free balance bikes are a great way to get kids used to the concept of riding and ‘gliding’ along. And it will do wonders to boost their confidence. When it's time to upgrade to a pedal bike for example, children who have had practise riding a balance bike are more likely to bypass the need for stabilisers. The Apple Green Balance Bike is unique in that it is convertible and will adapt with your child. It comes with a kit to transform it from balance bike for a two year old, to pedal bike that can be used up until the age of seven. It comes in a stylish Apple Green alloy frame (shown here) and also Electric Blue, Flame Red and Sparkle Pink colourways to suit all preferences. Cycling UK rate the Cnoc the best bike on test in the 3-6 year old age range, and for good reason. It has a perfectly proportioned body and saddle and its aluminium frame comes in a range of lightweight sizes – choose from a mere 5.6kg, which is great for a three year old, to a 6.8kg size, which is ideal for age four plus. Designed for maximum comfort, kids find this design enjoyable to ride. Its micro-reach brake levers, narrow diameter handlebars and super slim handlebar grips will give them the control they need to stop and start with ease. The wheels have light alloy rims and narrow hubs with the minimum number of spokes per wheel to give strength to the design without making it too bulky. It comes in four zesty colours including green, blue, pink and red (shown). 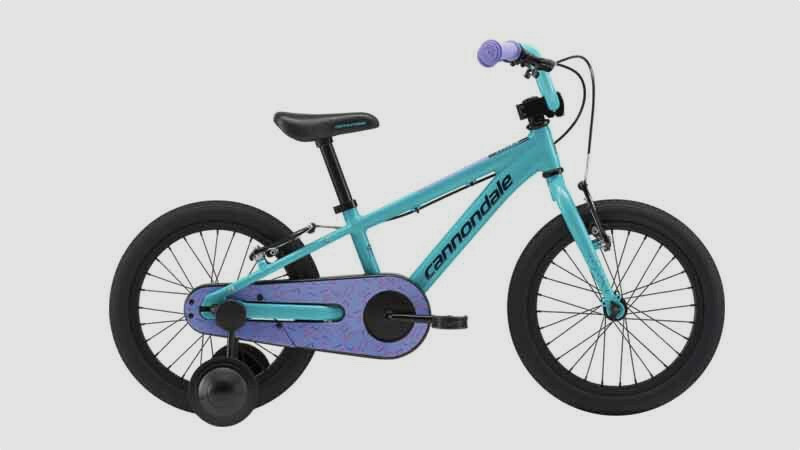 World-renowned for its sophisticated range of adult road, mountain and electric bikes, Cannondale has a stunning collection of bikes for kids too. 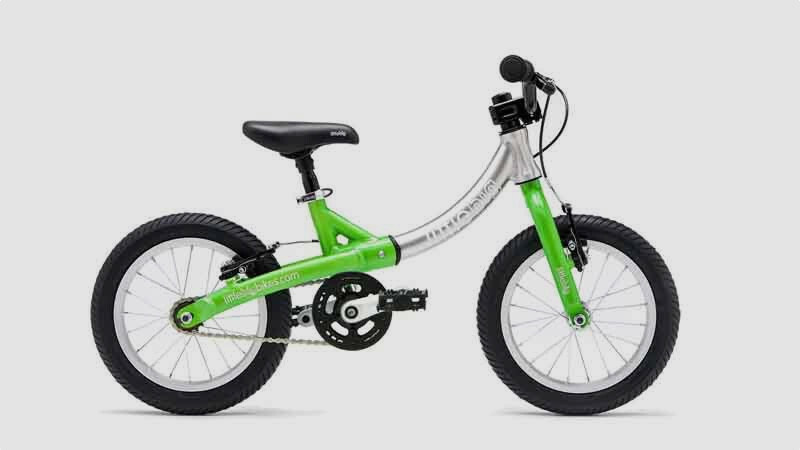 Ideal for age four to six, the Trail 16 bike is a particularly nifty little ripper and comes with simple one-speed simplicity. Its SmartForm C2 alloy frame - finished in either Turquoise and Acid Red - and its 16-inch alloy wheels and vibration-absorbing seat stays make it a lightweight and easy-to-control design. And once kids have mastered this size, they can move onto the equally impressive Trail 20 bike, which is aimed at kids from age five to eight. 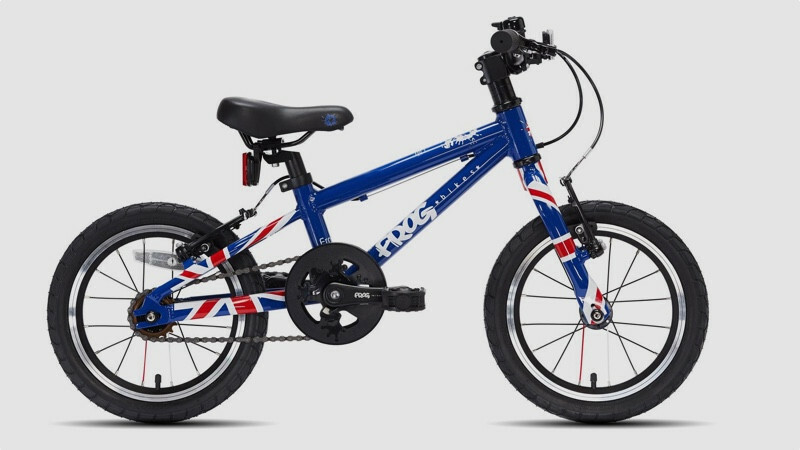 Frog sells an eye-catching range of junior balance bikes, as well as a dedicated range of first pedal bikes, hybrid, road, track and mountain bikes. 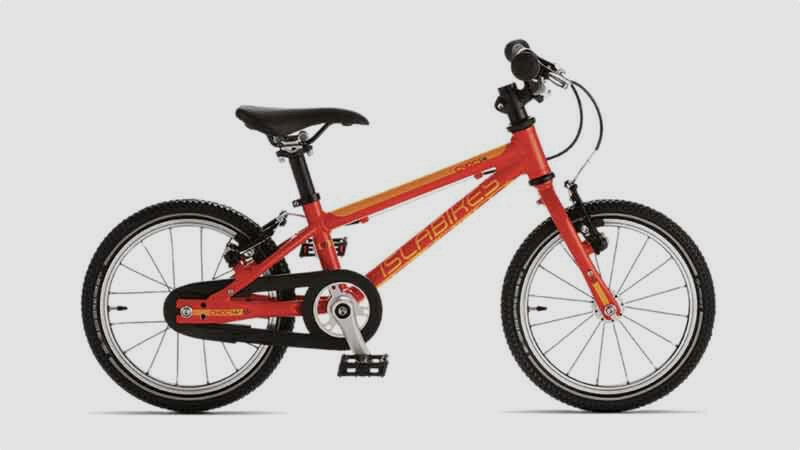 A particularly impressive design is the MTB 62 mountain bike for children aged from eight to 10-years-old. 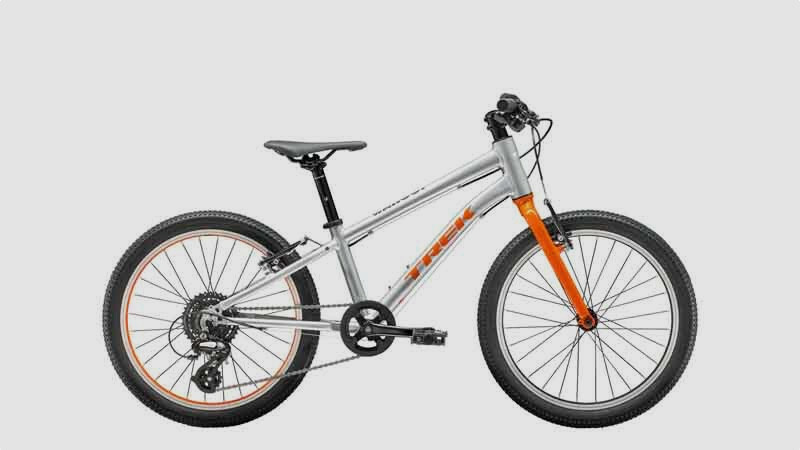 While its price tag is a little on the steep side, its 11.3 kg lightweight but sturdy aluminium alloy frame has a stunning spec and it comes with a five-year warranty. It features 24-inch wheels with a ‘Shimano rapid-fire’ nine-speed shift lever, a 24-inch air suspension fork with lockout and damping control and easy-reach hydraulic brakes to suit a number of terrains, on and off road. The patented Frog cranks are designed to make pedalling easy, while the quick release seat post makes it simple to adjust the height of your seat as your child grows. Aimed at children aged between six and eight or 45 to 52 inches tall, the Trek Wahoo 20 hybrid bike is practical and fun and offers good growing room. It’s a reasonable price to pay for a bike that has a strong and durable aluminium frame that’s easy to pick up and lightweight. With a 1x8 drivetrain (the bike’s powerhouse) and a range of gearing, it’s a design that’s easy to man manoeuvre. It has multi-surface tyres that can be used on a range of terrains – perfect for the park, pavement and off the beaten track- and it comes with a safety feature to ensure the wheels never drop out unintentionally. This particular design comes in eight different colours, including the particularly attractive Quicksilver/Roarange, pictured here.